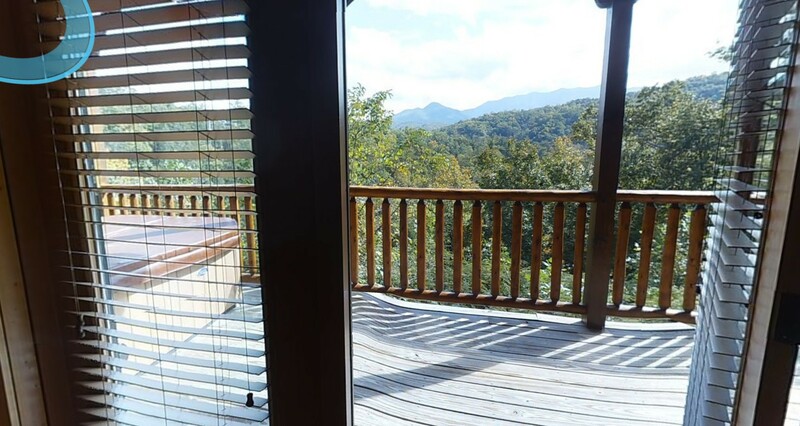 We’re always glad to hear about other people’s great experiences staying in one of our Smoky Mountains luxury cabins. Here’s what Southern-lifestyle specialist Shelly had to say about her family’s Gatlinburg getaway. Shelly reports that her family had an amazing stay in Cypress Lodge, a newly finished 4-bedroom cabin with richly detailed decor. The amenities were plentiful, with king beds in each of the four bedrooms along with two queen pull-out sleepers and 1 bunk bed set. There was no standing in line for the shower as the cabin had four full bathrooms and two half-baths, and a hot tub on one of the decks for good measure. And, there was no need to worry about finding a laundry or packing extra clothes because the cabin had its own washer and dryer. These things make a big difference for a mom and her family on vacation. Equally important is keeping the kids entertained all the time. Entertainment options were diverse with something for everyone in the game room located downstairs. The kids had their choice of an air hockey table, pool table, and assorted games like MsPacMan, Galaga, Frogger, and DKong. 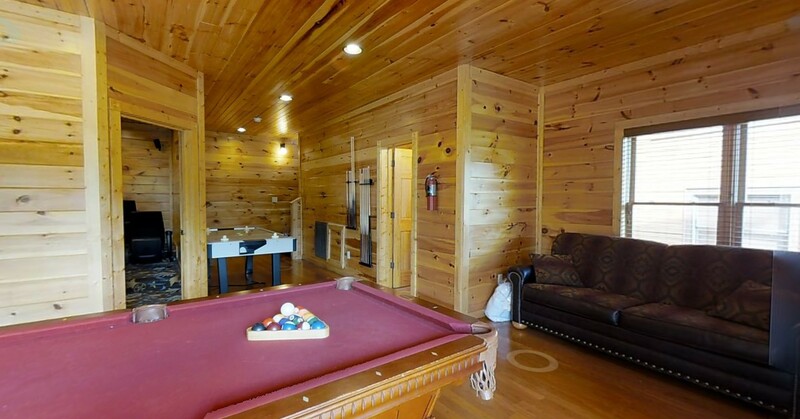 If the game room wasn’t enough of a distraction, the cabin featured a theater, curved HD-TV with premium channels, DVD players in the living room and in each bedroom, and Wi-Fi so everyone could stay connected. Shelly was really impressed with the layout of the cabin. She noted that once she walked through the front door, she was welcomed into an open kitchen/dining/living room area where her family could enjoy each other’s company while cooking, and have conversations without being cramped into a single area. She also liked the fact that the majority of the noise from the downstairs game room was contained to that area so everyone could enjoy themselves. The cabin is equipped with a full kitchen with everything included from dishes to cooking utensils, an 8-seater dining table, and four bar seats. All Shelly had to do was supply the food. An added bonus was the two outdoor charcoal grills that made the perfect way to end the day on a high note, and still relax in one of the rocking chairs on the decks and gaze at Mount LeConte. The electric fireplace was just the right touch for the chilly November nights when Shelly and her family visited, and safe for the kids. Shelly,husband and kids all had a blast with all the activities the family were able to share together that made for a complete day of fun. If they weren’t playing games, the family was out and about at one of the many shopping venues. They sampled many of the free taste tests at fudge and candy stores, eateries with traditional cuisine, and local wineries. Enjoying the breathtaking views of the mountains was the extra icing on the day. Shelly was very taken not only with the top-notch amenities, luxurious accommodations, ultra-private setting, and $400 in bonus coupons for area attractions but also with the friendly service and smiling faces that greeted them at the welcome center. With all these positive points, she and her husband know they will return for another, “ultimate” visit. You can read Shelly’s account of her stay at her Lynchburg Mama website: 5 Reasons Gatlinburg Falls Resort is the Ultimate Family Getaway! 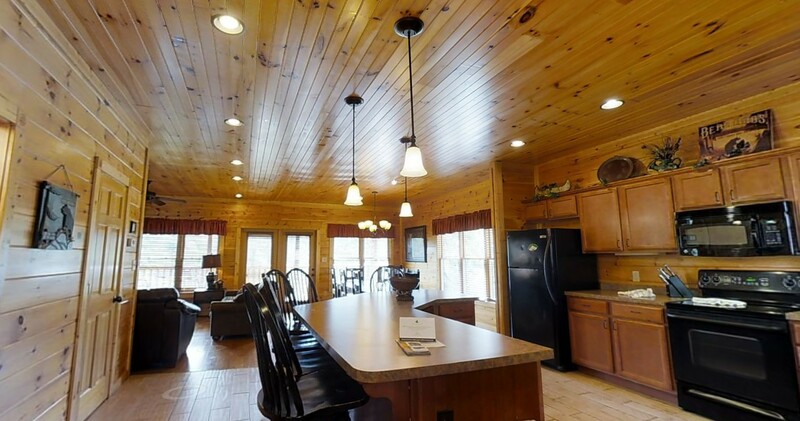 And check out the Cypress Lodge cabin page and take a Virtual Tour of this great family cabin.